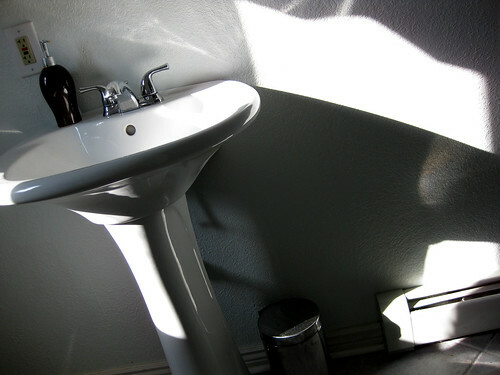 GFI (ground fault interrupt) breakers are installed in bathrooms, kitchens and near water faucets. GFI breakers are designed to prevent electrocution by sensing current leaks to ground. However, sometimes GFI circuits can trip when they are not supposed to. GFI breakers are designed to work with hair dryers, blenders and other small kitchen appliances. However, they do not work well with some types of appliances such as some motors, treadmills, Uninterrupted Power Supplies, dimmers and fluorescent lights. GFI breakers wear out with age and use. If your GFI outlet recently started tripping, it could be going bad. GFI breakers must be wired properly and they must be supplied with a good ground. Also, your GFI breaker amp rating must match the amperage of the house circuit it is connected to. GFI breakers are sensitive to other devices on the same circuit. If you have a refrigerator or other device on the same circuit, this can lead to false tripping. GFI breakers are designed to handle a limited amount of current. If you are drawing too much current through the GFI outlet, this will cause the breaker to trip as well.